Global corporate capital has its ever stronger clutches on all economic sectors all over the world. As a precursor it forces such sectors into ‘modification’ so that it could take full control of them. The modifications are: exposing & subjecting them into rigid science & technology, research, standardization, sector subjugation, colossal product transformation (massive value addition), and giant marketization. Agriculture sector of many countries are becoming victims to this very process. 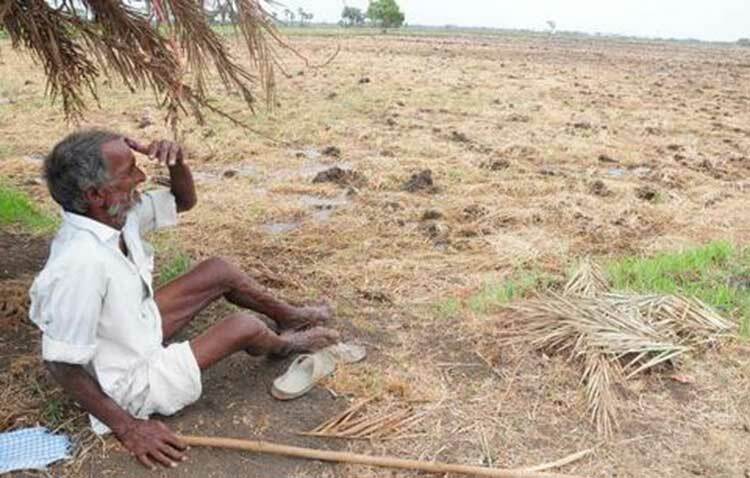 India’s scenario is a typical example bearing witness to this devastating trend with its massive farmers’ suicide that is nearly crossing 300 000. Caste based economic stratification in this country is one of the significant factors that has so far played its role. While the economic sectors of other countries totally surrendered to this process, India created a negotiation space through which the farmers who belong to the socially upper strata and economically resource rich could gain out of this for some extent through adopting corporate driven agriculture. During this gaining-phase, it also attempted in diversification of the farm economy and/or investing in other sectors – mostly in tertiary. Due to this, this section got some breathing space while the majority(marginal farmers) starts losing the battle. Mainly the resource poor farming section of rainfed farming, miserably failed and is failing. It is mainly because of their agriculture practices; from land preparation to post-harvest activities they still heed to traditional wisdom and knowledge. This is posing a challenge for the agenda of Glocorpital particularly in their efforts of standardizing, expanding R&D and looting of natural resources. Tamil Nadu is known for its traditional native farming system that hold answers for emerging issues such as, climate vagaries, equity, gender, nutritional security, biodiversity, ecology and sustainability. This is based on the age old native wisdom of ‘Thinai’. This wisdom is a blend of culture and science in managing the river basin that includes Kuinji, Mullai, Marudham, Neithal respectively mountain, forest, river drainage & coastal estuarine ecosystems, and follows the native agriculture almanac / calendar. The native system is now reduced and practiced in a dilapidated way that too only in rain-fed condition. Corporate driven agri-business system has largely bulldozed this sustainable system for its own vested interests. In doing so it took the active participation of the resource rich farmers’ section during and after green revolution. Thus the resource rich farmers section enjoyed a significant size of cake while the lion’s share is pocketed by corporate. On the other hand, the resource poor farmers’ section which is around 70-75 percent who is called marginal farmers involved in rain-fed farming lost their livelihood. The grand task of restoring the culturally rich farm sector cannot be separated from the tasks of rejuvenating the rain-fed farming system. This involves restoration of common natural wealth through a systems-approach (Kurunji, Mullai, Marudham, and Neidhal) – that means taking care of biodiversity, all ecosystems from mountain ridge to coastal estuary. Only this has the potential of regaining the lost ‘power’ of the Tamil culture. This had been symbolically shown to us by the erstwhile noble king Pari who just gave away his chariot to a wild jasmine creeper that was struggling to survive due to lack of a support pole. If we analyze this event, one could realize that it is not simply the wild jasmine plant it represents the ecosystem. And the chariot represents the ‘state’. The moral lesson the King Pari passes to us is that the common natural wealth of a country is more valuable than the state power. Knowing this truth, the global corporate mechanism in connivance with national ruling class, just embark upon destroying the common natural wealth base of Tamil Nadu and the south by all possible means – encouraging corporate driven modern farming among resource rich farmers, negation of rainfed farming system, land alienation(agri-land converted to non-agri-sector), mega projects that could potentially endanger the major ecosystems ( Nutrina in Western-ghat, Atomic reactor units in the coastal areas, hydro-carbon excavation in delta region) chanting the mantra of ‘growth’, enticing the youth with the slogan of ‘employment generation.’ Those opposing this pernicious design would be labeled as ‘Milltant’ or Desh Virodhi. This is the basic political-economy framework of governance of the Nationalist Centre Government which has tamed the Tamil culture and its power. This being the context, it is inevitable to have a mega-intervention which is referred to be hereafter as ‘Thinai ‘for our communication/convenience sake. A pan-Tamil Nadu strategic integrated intervention- a cultural action – that starts with defending the health and sustainability of common natural wealth (environment & ecology) base spreading across the four ‘Thinai’ s. This should lead towards sustaining the existing traditional rainfed farming system. This intervention should be based on scientific principles, equipped with contemporary technologies (digitalization), modern research (social/cross discipline) efforts, advocacy campaign and financial /non-financial resource support mechanisms. The intervention model is to be designed by a multi-disciplinary panel of experts. A study and publication of a whitepaper on the status and its potentials of agriculture sector of Tamil Nadu with special focus on Rainfed dryland farming system: its contribution to GDP, employment generation, foreign exchange, ecosystem and environment concerns /global warming climate issue. Tamil Nadu level digitized documentation of successful dryland model experiments going on. Promotion of a state level Horizontal Learning Package (HLP) as a strategic tool for knowledge exchange and animating the spirit of Tamil culture among farm sector communities. Establishment of four Thinai based biodiversity/ecological information and support services centers in each Thinai zone enabling the local communities in enhancing their capacities in governing, managing and protecting their common natural wealth. Participatory preparation and collective declaration of ‘Tamil Native Agriculture Policy: An Alternative Policy Potentially Addressing Sustainable Development Goals (SDGs) 2030, of the United Nations Organizations. Formation of a Vision Team of multi-stakeholders for giving a shape to this concept and come out with a draft design. Being primary sector, agriculture has inherent and organic attachment with nature. For Tamil country and its people, nature is part and parcel of their life and livelihood and culture. And especially the culture is designed to be ecological spirituality that shapes the literature, sports, thinking, norms, attitude, festivals, symbols, and life-style. However, recent trends negatively impacts on the on the lives and livelihood of the farmers community in Tamil Nadu deserves serious attention. Today’s critical scenario imposed on Tamil Nadu needs to be addressed very sensitively and urgently. Sensitive Tamil population, farmers and youth have understood the crisis and united in their anger. It is not merely language sentiment or emotional chauvinism. But, it is potential energy to be nurtured and channelized towards constructive purpose. The priority task is the reclamation of common natural wealth through rejuvenating the traditional wisdom of rainfed farming system. At the same time we must understand that it does not necessitate anyone to have an offensive or competing stance against the affected sections of communities of our neighborhood with whom we are entangled in water sharing issue. Marginal farmers, dalits and hill tribes, artisan fisher people of all the south states are also undergoing and facing similar situation within their respective political boundaries. Hence what we need is a rational, radical, objective and ecological perspective to critically analyze the river dispute and zero in the nexus of vested interest groups /forces behind the disputes (inter/intra river basins and inter/intra state) who are the major looters of the river and enjoy the cozy political corners behind our water disputes, and are residing in all the states of the south and of course the MNCs and corporate. Once we do that there emerges a new democratic space for building a trans-boundary people’s alliance against the invasion of global and pseudo-nationalist right wing forces that are elaborately investing in the south for over-extracting the common natural resources. Though we are divided by political boundaries, we are all united in terms of the hydro-geological unit. Though we are divided by our languages we are united in terms of our Ecological Spirituality. Let this bond be not broken by the dirty games of the corporate and silly electoral party politics. Let us be sensitive of the truth that our south zone is a globally sensitive geographic location that is endowed with the best blend of both rich biodiversity and ecological spirituality. Only such realization could be the bottom-line driving factor for building a broader force, to counter the proliferation of ‘culture of destruction’. South Indian agriculture, especially Tamil Nadu agriculture, depended on nature and crops were down keeping in view the suitability of soil and rainfall. With political and corporate interference, the agriculture sector changed and problem of crop failure began to prop up. The farmers unrest is an indication of the present political and corporate interference. To solve the problem, farmers must be let alone to sow seeds according to the conditions that farmers know best so that crop failures will be minimised .